Posted on September 8, 2017 by Katrina C.
Summer is my favorite time of year to explore the beautiful area in which I live. Portland, Oregon is known as a “weird” little city that boasts eccentric doughnut shops, a unicycle riding bagpipe player, as well as architecturally beautiful buildings, bridges, and of course the breathtaking views of rivers and mountains that adorn our cityscape. 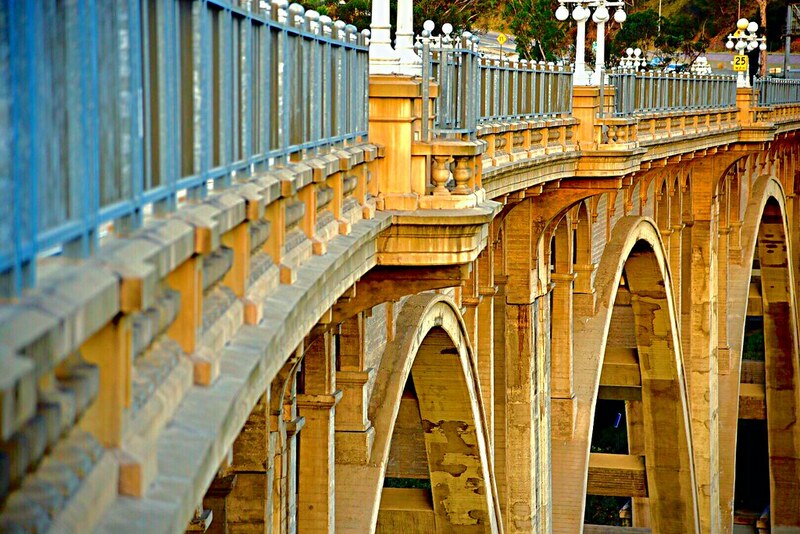 Often referred to as Bridgetown or Bridge City owing to the bridges crossing the Willamette and Columbia rivers, many visitors stop to admire the intricate shapes, colors, and designs of these structures that connect our downtown area together. Concrete is a major building material used in our city since it can be formed into nearly any shape, size, or color. Structurally sound and easily sourced, this material is popular in the architectural design features found in Portland and many other cities around the country. New technology in concrete color pigments offers even more versatility in this material by creating a wider range of color options to improve building design elements and features. New options in concrete color pigments add visual and aesthetic appeal to many building projects, both commercially and residentially, which in turn is creating an industry that is growing at a steady pace. From building facades to stamped concrete patios, new options in colors are making concrete the preferred choice among many consumers today. As manufacturers work to meet consumer demands for quality and color options, top production facilities rely on advanced spectral analysis for quality control. While pigment color measurement does present challenges when it comes to consistency and repeatability, choosing the right instrumentation can alleviate common problems associated with powdered pigment measurement and provide the most accurate data in color measurement. Concrete is often thought of as a cold but practical material used for sidewalks or garage floors, where functionality and cost outweigh visual appeal. 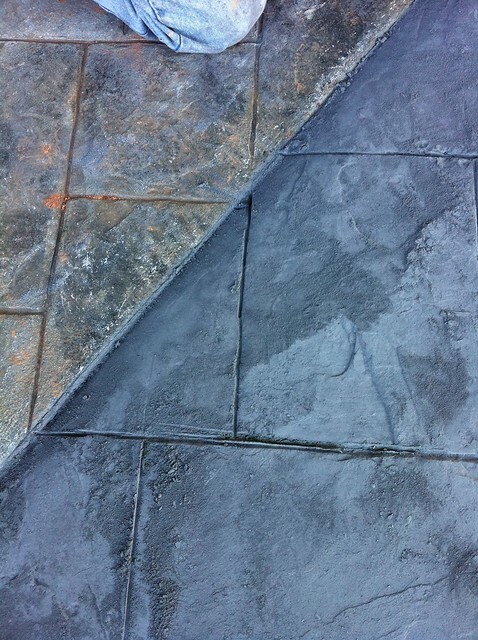 However, “the expanding interest in decorative concrete is starting to challenge this concept” as new, customizable concrete color palettes have emerged, expanding aesthetic appeal and usability.1 There are many variations and options in concrete development that affect the final product, so monitoring base cement color, additives, and color changes throughout production are essential for ensuring precise color matching and consistency. Before concrete color pigments are added, it is important to measure the cement color itself to set a base for color formulation. Cement colors can vary in shade and consistency, so most manufacturers prefer a white cement base for brighter and more vibrant color outcomes. Spectrophotometers can measure a degree of whiteness by assigning a color value to the sample. Pure white only reflects color, so other elements that are present in the sample are represented by a separate color value and quantified accordingly. This can be particularly useful for monitoring darker cement bases, such as gray, where iron and other impurities can greatly affect final color outcomes. Spectrophotometers provide a highly useful tool in concrete color development and offer the ability to quantify color data and store this information for formulation and repeatability. Because there are many factors that can alter color throughout processing, base cement color is only the starting point for color formulation. Additives like water and aggregates can also induce color changes and must be carefully monitored throughout production, but continual assessment and data can provide the information needed to make changes throughout production. Setting color tolerances and identifying variations throughout production can achieve desired color outcomes and batch-to-batch consistency effortlessly. Pigments are the most important ingredients when it comes to the color development and formulation of colored concrete products. 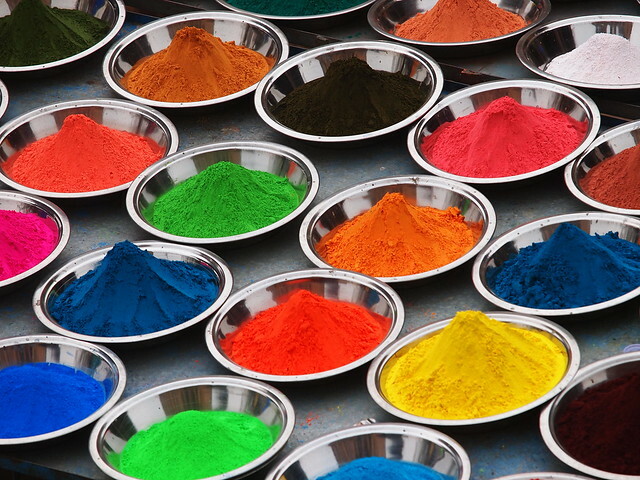 Though limited by their ability to change color without altering the chemical reaction processes needed for stability, new options in pigment color choices have expanded this market drastically.2 Mixing pigments is often required to create customized colors and involves loading pigments at various rates to develop a specific shade. Instrumental analysis is necessary for monitoring and quantifying changes throughout this process to simplify color matching and develop quality control standards. Pigment powders present several challenges throughout the color measurement process due to the textured, non-uniform characteristics of this product. These pigments are particulate in form and can vary in shape and size. Because color is measured by the wavelength of light reflected or absorbed, sample presentation plays an important role in the accuracy of the measurement. Powdered samples are particularly susceptible to light trapping, shadowing, and ambient light interference, which can create inconsistencies in color measurement data. Therefore, samples must be carefully prepared and “measured through the side of a clear glass sample cell in order to be effectively made into a solid.” By using the same preparation and measurement techniques each time a sample is analyzed, variations can be limited to ensure batch-to-batch consistency. Sample averaging is a valuable method used to ensure that texture and size variations do not interfere with final color outcomes. Depending on the shape and size of the loose powder, irregularities can cause shadowing and variations in color data. A single sample reading is often misleading, but multiple readings of the same sample can be used to average color data for more precise color measurements. HunterLab spectrophotometers offer the versatility needed to address the challenges of concrete color pigment analysis. We provide innovative color measurement instrumentation and have worked with leading building material experts to engineer spectrophotometric technology that meets the needs of the industry. Not only do our design elements accommodate the many variations in pigment sample shape and size, but we also provided the highest level of support to ensure you get the most out of your color measurement instrumentation. Contact us to learn more about our innovative products and world-class customer support services.